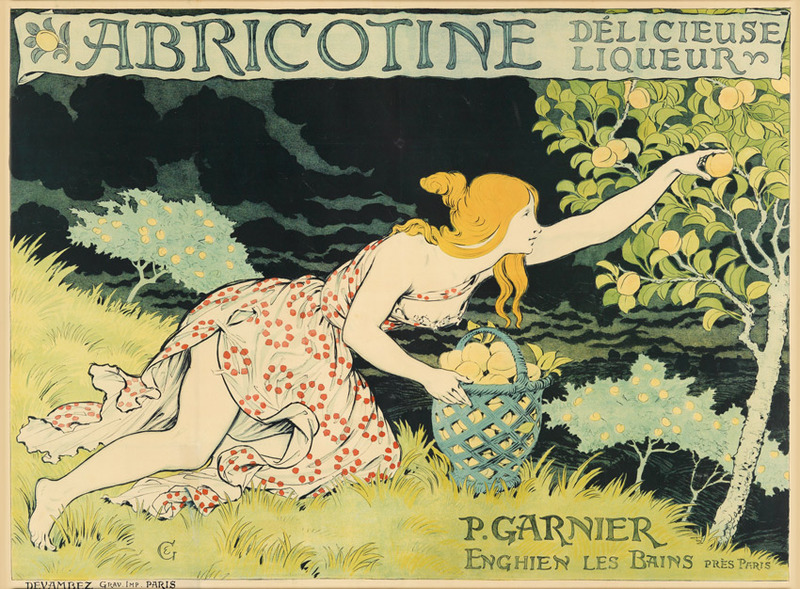 Lot 37: Eugène Grasset, Abricotine, circa 1905. Sold for $8,125. The finale of our 2016-17 season was a bonanza of historic Vintage Posters that spanned the last 150 years. From the nineteenth century came a parade of Art Nouveau masterworks that includes Eugène Grasset’s Abricotine, circa 1905, and desirable works by Leonetto Cappiello and Alphonse Mucha. 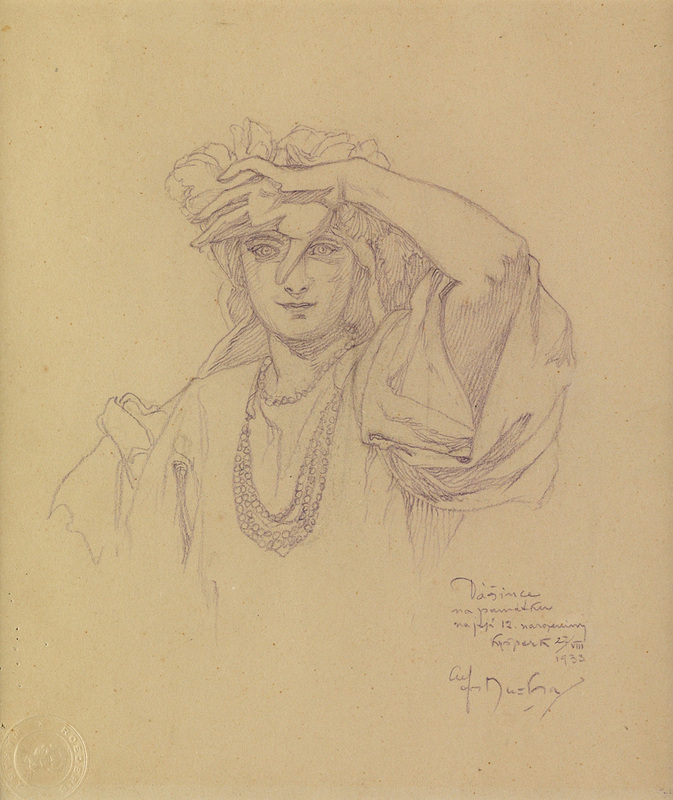 Lot 67: Alphonse Mucha, [Girl Shielding Her Eyes], pencil drawing, 1933. This sale featured an exceptionally wide array of World War I posters, honoring the centennial anniversary of the U.S.’s entry into the fray. 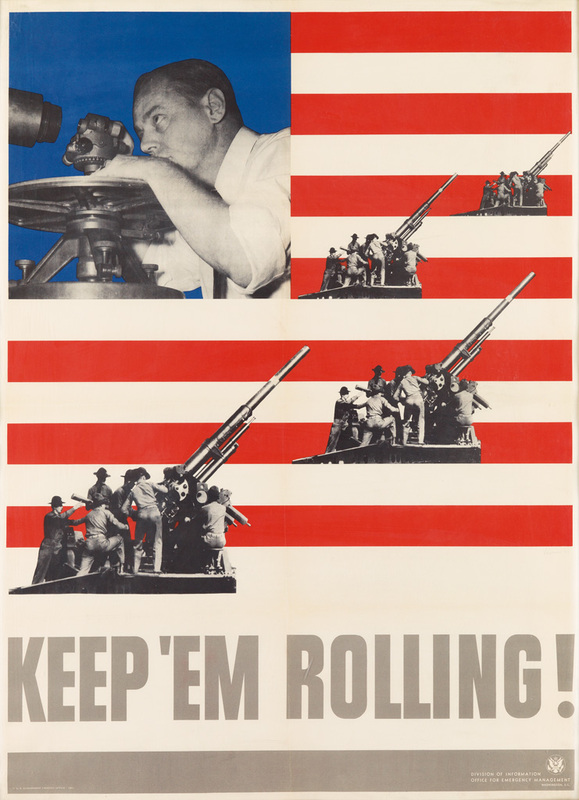 More than 100 propaganda posters from the period were offered, with rarities by Howard Chandler Christy and James Montgomery Flagg. Likewise, there is a selection of World War II posters with highlights by Victor Ancona, Abram Games and Karl Koehler. 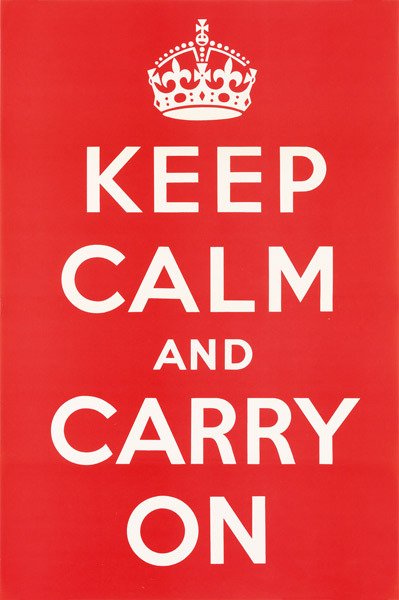 The iconic image and rare poster, Keep Calm & Carry On, sold for $15,000. It was published in 1939 by the British Ministry of Information to galvanize the public during World War II. 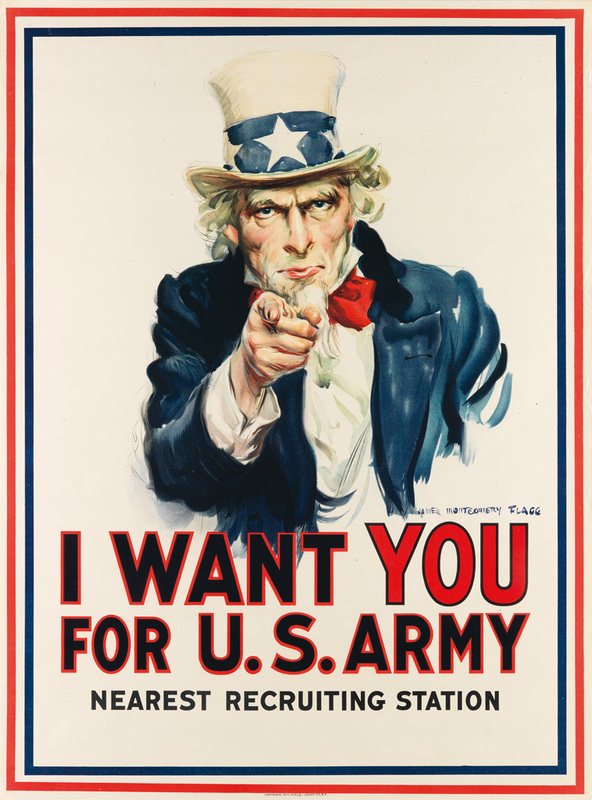 Lot 141: James Montgomery Flagg, I Want You for U.S. Army, 1917. Sold for $14,300. Lot 218: Keep Calm and Carry On, designer unknown, 1939. 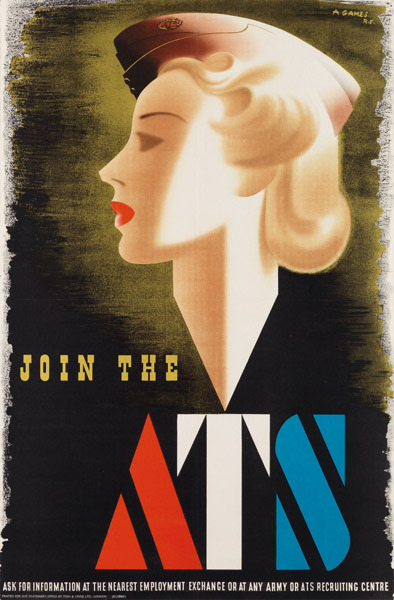 Lot 213: Abram Games, Join the ATS, 1941. Sold for $6,500. 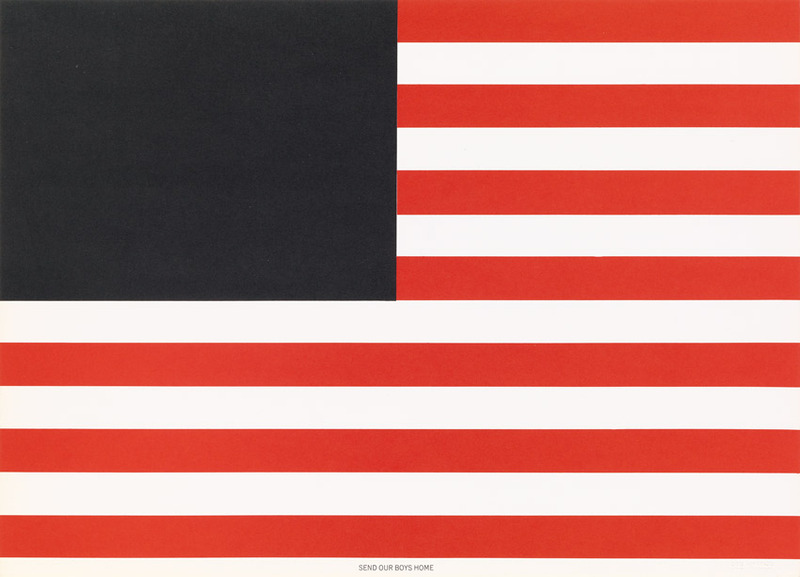 Lot 323: Cris Gianakos, Send Our Boys Home, 1966. Sold for $2,000. 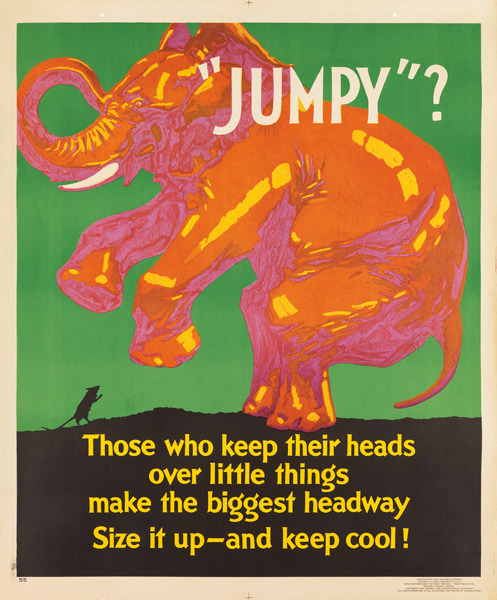 Lot 605: Jumpy?, designer unknown, 1929. Sold for $1,040. A tantalizing selection of circus and magic posters included highlights from Ringling Bros. and Barnum & Bailey’s. More modern entertainment featured an assortment of French music hall, theatrical and movie posters. The work of Roger Broders, Maurice Lauro, Fortunino Matania, Alberto Vargas and others comprised a seasonally-appropriate section of summer and resort posters, while a variety of Work Incentive posters from the 1930s offered advice and inspiration. 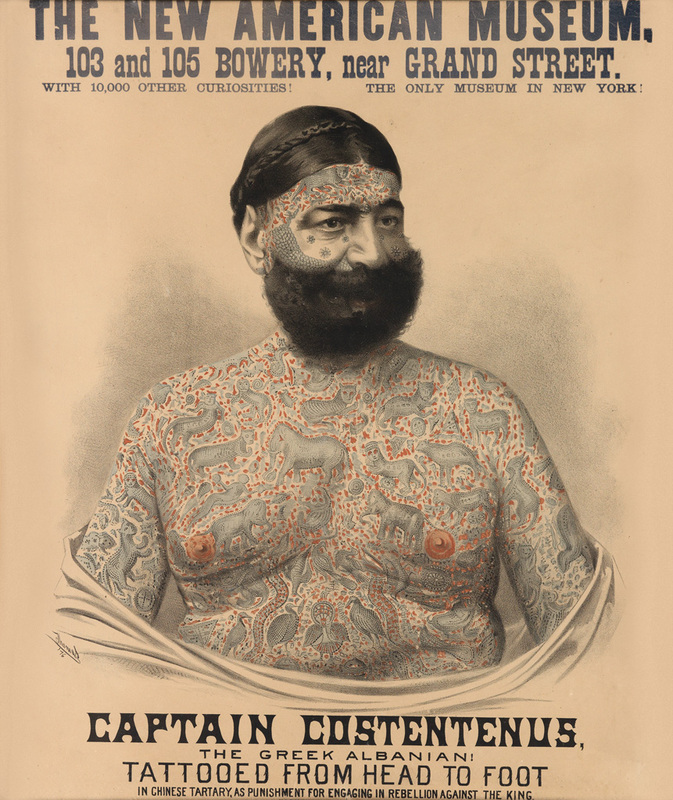 Lot 2: Captain Costentenus, designer unknown, 1876. Sold for $6,750. Lot 566: Danté / Sim • Sala • Bim!, designer unknown. Sold for $12,500. 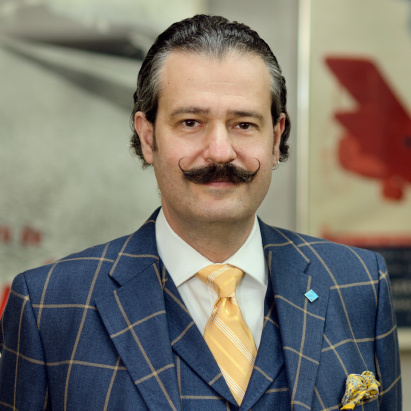 For more information on the sale contact a specialist in the Vintage Posters department.